Loan amount: Business loan rate in IndusInd Bank depends upon the loan amount you apply for. Higher the loan amount, lesser will be the interest rate. Bank gives loan of minimum Rs. 50,000 to upto Rs. 15 Lakh. Interest rate for high loan amount can be lower resulting in lower EMIs. 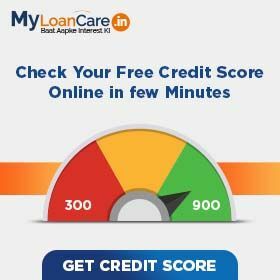 CIBIL Score: IndusInd Bank offers loan at higher interest rate if your CIBIL score is low or vice versa. However, to get loan from IndusInd Bank, your CIBIL score should be atleast 700. Higher the CIBIL Score, higher the chances of getting a loan at lowest business loan interest. Revenue: IndusInd Bank will offer you loan at lower interest rate if you have higher monthly revenue. Bank gives loan to the borrowers whose annual turnover is at least Rs. 0 . Time in Business: IndusInd Bank offers loan at lower rates if you have significant business experience. Minimum business existence to get loan from IndusInd Bank is 24 months. Age: Age plays an important role to know your eligibility and repayment capacity. IndusInd Bank offers loan to those who are at least 25 years old at the time of loan approval and maximum 65 years at the time of loan maturity. Profitability and Revenue: Loan eligibility significantly depends upon profitability on your turnover, revenue and profitability. IndusInd Bank requires profit for minimum 2 years and minimum business turnover of Rs. 0 .
Business Stability: Future business prospects and its stability is important to improve your eligibility for business loan. IndusInd Bank requires minimum business track record of 24 months. The bank will also look for minimum growth in sales for the last three year. A decline in sales for a certain period or below a certain limit might impact your eligibility to get loan. ITR and Banking: Bank gives loan only after checking your income tax return and bank statements. Your ITR details for minimum 24 months and bank statement for minimum 6 months will be required by IndusInd Bank. CIBIL Score: When checking loan eligibility, IndusInd Bank will look at the complete CIBIL report. IndusInd Bank will check your repayment history for all current and past loans and credit cards. Bank advise you to maintain a score of 750 and above to get loan approval. Interest Rate: Higher the interest rate, higher will be the EMI. For a 60 months loan from IndusInd Bank at an interest rate of 14.00% per annum, EMI will be Rs. 2,327 per Rs. one lakh loan amount. At an interest rate of 23.00% for the same loan, the EMI will be Rs. 2,819 . Loan tenure: Longer the loan tenure, lesser your smonthly EMI. At interest rate of 14.00% per annum, the EMI on IndusInd Bank business loan would range from Rs. 8,979 to Rs. 2,327 for loan tenure ranging from 12 to 60 months. Amount Borrowed: IndusInd Bank Loan EMI will be high if you apply for a high loan amount. For amount borrowed Rs. 50,000 , the EMI at 14.00% for 60 months would be Rs. 1,163 . Similarly for amount borrowed Rs. 15 Lakh, the EMI at 14.00% for 60 months would be Rs. 34,902 . 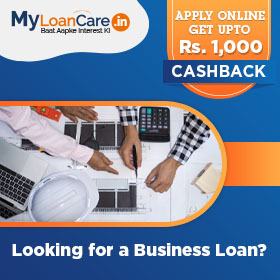 Why to take business loan from IndusInd Bank ? Bank offers loan at 14.00% rate with the lowest EMI of Rs. 2,327 per lakh. If you are paying EMI more than this then you can opt for balance transfer and relocate your loan to IndusInd Bank. What is the interest charged on IndusInd Bank business loan? Interest rates on Business loan in IndusInd Bank are very attractive starting from 14.00% to 23.00%. Bank offer various offer for self employed professionals to get loan at very low rate of interest. What is the lowest EMI per lakh on business loan from IndusInd Bank ? If you apply for loan from IndusInd Bank, your lowest EMI per lakh will be Rs. 2,327 . What is the minimum and maximum tenure of business loan in IndusInd Bank? How much business loan amount I can borrow from IndusInd Bank? IndusInd Bank offers you loan if you need a minimum amount of Rs. 50,000 to a maximum amount of 15 Lakh. What is the processing fee charged by IndusInd Bank on business loan? IndusInd Bank charges a processing fee of 2.50% with applicable tax. Is age an eligibility factor to get loan for business from IndusInd Bank ? What are the prepayment charges on business loan from IndusInd Bank? Bank charges a fee in case you want to repay your entire loan amount before the end of tenure period. The fee charged by IndusInd Bank is 4% . Private sector lender Indusind Bank has reported a 25% net growth in the third quarter, ending this December. The net profits stand at Rs. 936.25 crore owing to the higher core income. The report showed a minor positive change in the gross non- performing assets ratio, which went up with reverses in loans against property, commercial loans and corporate loans. Satin Creditcare Network, the microfinance lender backed by Asian Development Bank-backed will be raising funds worth Rs. 205 crore from IndusInd Bank and existing overseas shareholders in its bid to augment capital base and support growth. The net worth of Satin Creditcare Network will now be about Rs 1,000 crore. According to the Rs. 15,486 crore all-stock deal, an investor in IndusInd will get 639 shares , for every 1,000 BFIL shares. Rs. 10,971 crore loan books will be absorbed by the bank and treated as so-called priority loans which are loans to agriculture, micro enterprises and weaker sections of the society. The 15,284 employees of BFIL have been assured of not losing their jobs, at least for the first three years after the merger is formalized. IndusInd Bank has announced that it has partnered with the Asian Development Bank (ADB). The ADB bank has signed a loan of 200 million dollar with IndusInd Bank to provide finance to low income women borrowers in rural India. Meanwhile, ADB will also extend its support to the bank to improve the financial literacy of women borrowers in villages. Indusind Bank has entered into an agreement with overseas private investment corporation (OPIC) to raise 225 million dollar loan. With this agreement, OPIC will extend its support to the bank in increasing its micro, small and medium enterprise (MSME) lending portfolio.